A woman killed in a car crash down a cliff off of state Highway 9 outside Saratoga early Wednesday morning has been identified as 18-year-old Estephany Cabrera Montes of San Jose, according to the Santa Clara County medical examiner's office. The driver, 29-year-old San Leandro resident Alex Garcia, was arrested on suspicion of felony hit-and-run, vehicular manslaughter and being an unlicensed driver, CHP Officer Ross Lee said. A pregnant 15-year-old girl who was a passenger suffered major injuries and was transported to a hospital in critical condition, according to Lee. Around 1 a.m., officers responded to a report of a crash involving a possible death on the freeway west of Redwood Gulch Road, Lee said. Emergency crews responded and found the teen girl and a woman who had died at the scene, according to the CHP. The CHP initially reported the woman was 19 years old, but the medical examiner's office has since clarified that she was 18 years old. The trio was heading east in a 2014 Nissan Versa sightseeing through the area with people they knew in other cars traveling in the same direction, Lee said. The people in the other cars didn't witness the crash, according to Lee. Officers learned the driver steered the Nissan off the road and went down an embankment before the vehicle crashed into a large tree about 30 feet away from the highway, CHP officials said. They looked for the driver with help from the Santa Clara County Fire Department and the county sheriff's office, but were unable to find him at the scene, according to the CHP. Officers found the driver's cellphone and other documents inside the Nissan, CHP officials said. There were no obvious signs of drugs or alcohol involved in the crash, Lee said. The medical examiner's office responded and took custody of the woman who died, CHP officials said. The roadway was closed until 5 a.m. for officers to remove the vehicle, which was impounded for evidence, according to the CHP. 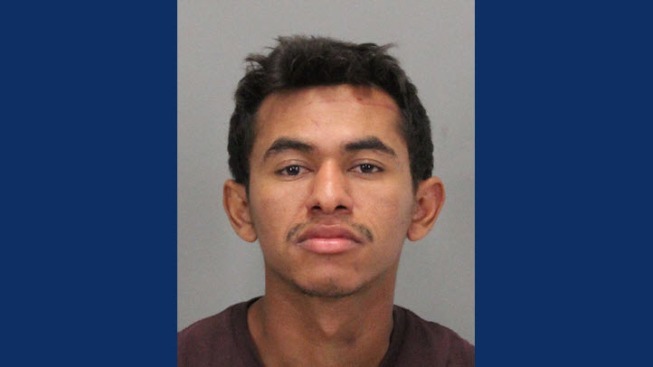 The alleged driver, Garcia, surrendered to San Jose police, who notified the CHP, Lee said. He has been booked into Santa Clara County Jail, where he is being held without bail, according to jail records.